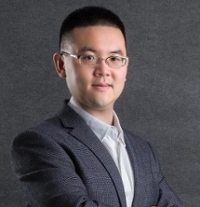 Dr. Li’s research interests include spatial modeling, water resources planning and management, groundwater modeling, land use, climate change impacts, LiDAR and social media analysis. Wu, D., R. Li, F. Zhang, J. Liu. 2019. A Review on Drones-based Harmful Algae Blooms Monitoring. Environmental Monitoring and Assessment. 191:211. Li, R. and A. Monti (Eds.). 2018. Land Allocation for Biomass Crops: Challenges and Opportunities with Changing Land Use, Springer. ISBN: 978-3-319-74535-0. Li, R., G. Ou, M. Pun, L. Larson. 2018. Evaluation of Groundwater Resources in Response to Agricultural Management Scenarios in the Central Valley, California. Journal of Water Resources Planning and Management. 144(12). Li, R. J. Chen. 2018. Planning the Next-Generation Biofuel Crops Based on Soil-Water Constraints. Biomass and Bioenergy. 115, 19-26. Xiang, J., R. Li, G. Wang, Q. Wang, G., L. Xu, M. Zhang, and M. Tang. 2017. Modeling Urban PM2.5 Concentration by Combining Regression Modeling and Spectral Unmixing Analysis in a Region of Eastern China. Water, Air, & Soil Pollution. 228:250. Wang, T., T.E. Franz, R. Li, J. You, M. Shulski, C. Ray. 2017. Analysis of effects of climate and soil on regional soil moisture spatial variability using EOFs in a semiarid region. Water Resources Research. 53 (4), 4022–4035. Li, R., M. Pun, J. Bradley, G. Ou, J. Schneider, B. Flyr, and S. Chinta. 2016. Evaluating Hydrologically Connected Surface Water and Groundwater Using a Groundwater Model. JAWRA Journal of the American Water Resources Association, 52(3): 799-805. Ou, G., R. Li, M. Pun, C. Osborn, J. Bradley, J. Schneider, and X. Chen. 2016. A MODFLOW Package to Linearize Stream Depletion Analysis. Journal of Hydrology, 532: 9-15. Li, R., J. Merchant and X. Chen. 2014. A Geospatial Approach for Assessing Groundwater Vulnerability to Nitrate Contamination in Agricultural Settings. Water, Air, & Soil Pollution, 225(12): 2214. Miller, A. and R. Li. 2014. A Geospatial Approach for Prioritizing Wind Farm Development in Northeast Nebraska, USA. ISPRS International Journal of Geo-Information, 3(3), 968-979. Tang, Z., R. Li, X. Li, W. Jiang, and A. Hirsh. 2014. Capturing LiDAR-Derived Hydrologic Spatial Parameters to Evaluate Playa Wetlands. JAWRA Journal of the American Water Resources Association, 50 (1): 234–245. PI, $145,900, Characterization of Groundwater Recharge Dynamics in the Unsaturated Zone Using Hydrologic Models in the Central Platte River Basin. 06/01/2018-02/29/2020, CO-PI: Gengxin Ou, Central Platte Natural Resources District. PI, $9,982, Characterization of Harmful Algal Blooms Using Small Unmanned Aircraft Systems and Watershed Analysis in Southern Illinois, 03/01/2018-02/28/2019, awarded by Illinois Water Resources Center. PI, $40,527, Social Media Footprints of Public Perception on Energy Issues and Their Policy Implications, 07/01/2017-06/30/2018, Energy Boost Seed Grant awarded by SIU Advanced Coal and Energy Research Center. PI, $68,871, Developing IT Applications to Assist in Communicating Hydrogeologic Information for Public Engagement, 05/01/2016-08/15/2018, awarded by Nebraska Department of Natural Resources. PI, $9,856, Geocoding Locations of Historic Reclamation Research Sites using Google Earth, 02/22/2016-07/31/2016, 11/1/2017-02/28/2018, awarded by American Society of Mining Reclamation.